Not again! You’re lying awake, staring at the ceiling, counting the hours of sleep that you’re not getting. All you want to do is drift off to sleep peacefully and wake up finally feeling rested. 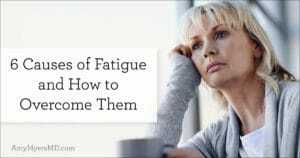 Instead, you just can’t seem to doze off and you’re dreading starting off another day feeling exhausted and cranky. Not getting a good night’s sleep can be incredibly frustrating, especially if it’s happening night after night. And you already know how much it impacts your mood. Did you also know that it can also wreak havoc on your health? 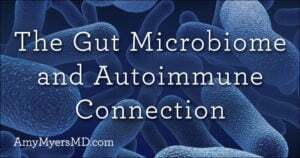 Particularly your immune system, thyroid function, and metabolism. That’s because getting a good night’s sleep is key for maintaining your circadian rhythm, which is your body’s natural clock – telling you when to wake up, when to eat, and when to go to sleep. 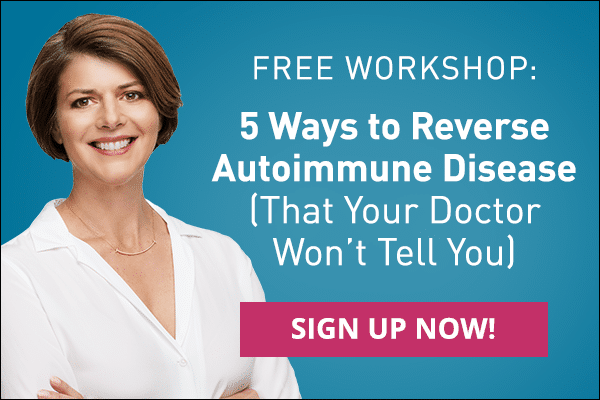 Your immune system and many of your hormone receptors are geared to these rhythms, so when they are disrupted by poor sleep patterns you are more likely to get sick, develop thyroid dysfunction, experience hormonal imbalances, and even gain weight! This is one of the main reasons I recommend that my patients get 8 to 9 hours of restorative sleep every night, particularly if they are working to reverse a chronic illness such as autoimmunity, Hashimoto’s, or Graves’. And if you are trying to overcome one of these conditions or any sort of chronic illness, I recommend that you too focus on getting good, restorative sleep each night. Unfortunately, I know all too well that for many of you, that can be easier said than done. Trust me, I’ve been there. Three years ago, I was having sleep issues and I struggled to fall asleep and stay asleep. 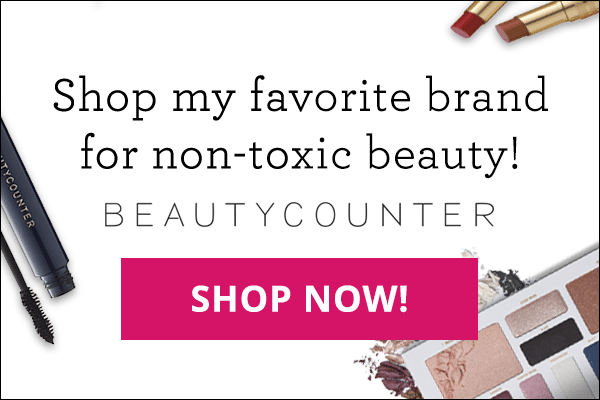 That is until I finally made one simple change in my nighttime routine that has allowed me to quickly fall asleep, stay asleep and wake up feeling refreshed and energized. A friend of mine, who also happens to be a sleep expert, told me that I was being exposed to the wrong kind of light in the evening. What he told me made so much sense that I immediately started to implement his simple suggestion and I was sleeping like my baby girl Elle in no time at all. Let’s talk about the important role light plays in your sleep cycle and the one simple change I made so that I now get a full night of restorative sleep, every single night. Our ancestors evolved to wake with when the sun rose and to go to bed when the sun went down. Many places in the world still do this today, I experienced this in rural Paraguay when I was in the Peace Corps. This change in daylight signals your body that it was to rise or time for bed. However, due to the invention of electric light, most of us are no longer going to bed when the sun goes down and waking up when the sun comes up. Instead we’re using lightbulbs to fill our homes with light all evening long. What’s more, we’re spending hours each night watching tv, working on our computers, and looking at our phones, which are all emitting light. The problem isn’t just that our nights have become filled with more and more light. If that were the case, we could put dimmers on all the lamps and curl up with our smartphones until we dozed off. The real problem is the type, or wavelength, of light that we’re bathing ourselves in at night. Although natural sunlight contains a variety of wavelengths, it’s particularly abundant in blue light. It’s this blue light that sends signals to your brain that it’s time to get up, keeps you alert and focused, and elevates your moods. A lot of light therapy for depression and seasonal mood disorders actually uses natural spectrum bulbs that emit blue light. Blue light has an important function in helping to set your circadian rhythms too. That’s why in my books, The Autoimmune Solution and The Thyroid Connection, I recommend getting outside within 30 minutes of waking up, because the sunlight signals to your body that you’re awake. The problem is that your light bulbs and electronic devices, including televisions, computers, and smartphones, also emit that same wakeful blue light. And at night, this same blue light inhibits your production of melatonin, the hormone that tells your body and brain to feel sleepy and go to bed. All of the “mini suns” surrounding you are actually telling your body that it’s time to stay awake and alert instead of time to go to sleep! 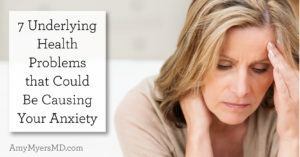 And, as I mentioned earlier, this isn’t just affecting your sleep and mood, it can take a toll on your health as well. In fact, research has linked the use of blue light at night and the sleep difficulties it causes to increased rates of diabetes, obesity, heart disease, and cancer. Studies have also linked blue light exposure to vision loss because of the damage blue light can cause to your retinas. Now of course one option to avoid the blue light that’s keeping you awake is to simply turn off all of your lights and electronic screens after sunset. I don’t know about you, but that’s not very realistic for me personally. That’s why my favorite sleep tool, and the one I won’t travel without, is my pair of amber glasses! The amber-colored lenses in the glasses literally block out the blue light that reduces melatonin production, so that your body naturally gets sleepy as you near bedtime. Since I started wearing them, I’ve seen a huge difference in my ability to fall and stay asleep each night. And I’m not alone. In a 2009 study, 20 volunteers aged between 18-68 were randomly given either amber glasses (which blocked blue light) or glasses with yellow lenses (which blocked only UV light) and asked to wear them three hours before bed for three weeks. At the end of the trial, the participants who wore the amber glasses reported a significant improvement in their quality of sleep and mood, while those who wore the yellow-tinted glasses reported no change in either their sleep or mood. 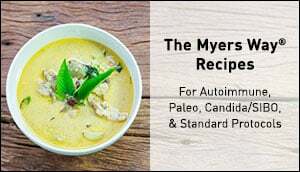 You know I’m always looking for ways to make The Myers Way® as simple and stress-free as possible, and that’s what I really love about the amber glasses. 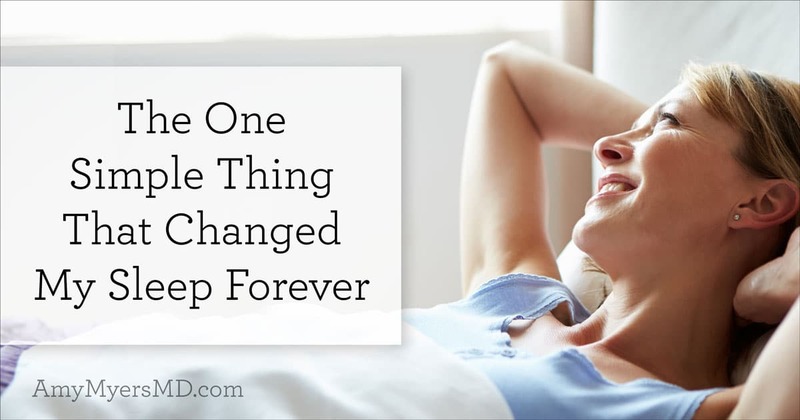 For me at least, it made a huge difference in my quality of sleep, and it was a super simple change to make. 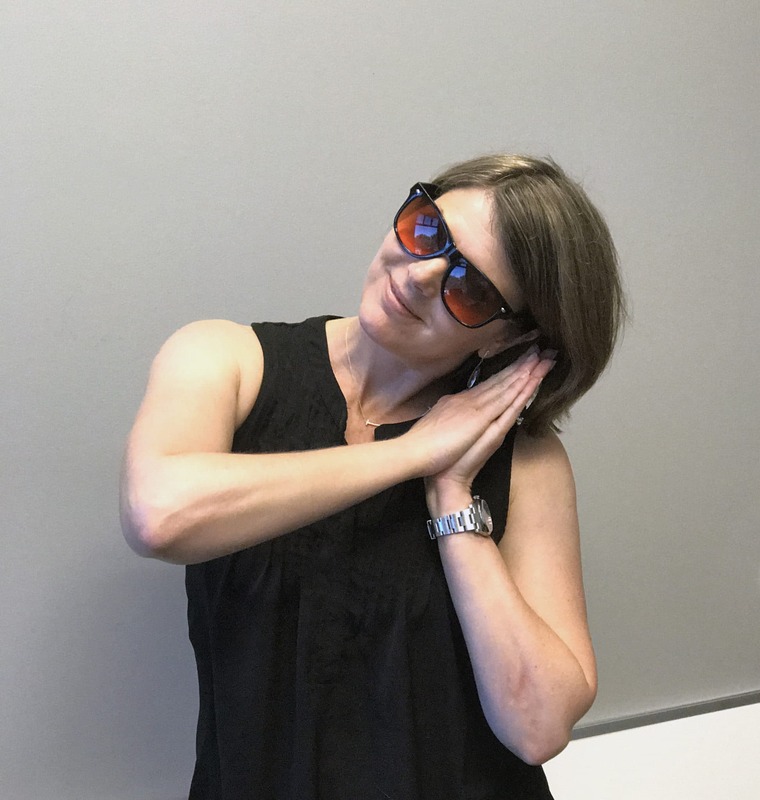 I just put them on when the sun sets and wear them until bedtime (for my full nighttime routine for restorative sleep, check out this article). You can wear them while simply walking around the house doing your evening routine, watching TV, or looking at a computer or smartphone screen. And, as someone who travels frequently, I love that you can bring them with you while you travel, so that you can get a good night’s rest no matter where you are. Plus, after trying quite a few pairs of amber glasses (including a couple that were pretty pricey), I’ve honestly found that the inexpensive ones actually work best, so those are the ones that I use and carry in my online store. I will say, the one drawback is that you may feel a little funny at first wearing your amber glasses inside in the evening. My husband, Xavier, used to laugh at me when I wore mine around the house in the evening. However, once he saw the difference they made in my sleep and mood, he was on board. If your spouse or children give you a hard time, you can always remind them that you’re not wearing them for fashion, you’re supporting your immune system, thyroid, and metabolism. Have you tried amber glasses and did you notice a difference in your sleep? Let me know in the comments below!